Promotes creativity, environmental awareness, and community through re-use. Materials available as well as gallery showcasing creative re-use in art. Craft classes offered throughout the year. Business Hours: M-F, Sun - 11am-7pm; Sa, 10am-7pm. Comments Regarding Groups: Two on-site Open Studio rooms are available for groups: our Make-n-Take room and Design Center. 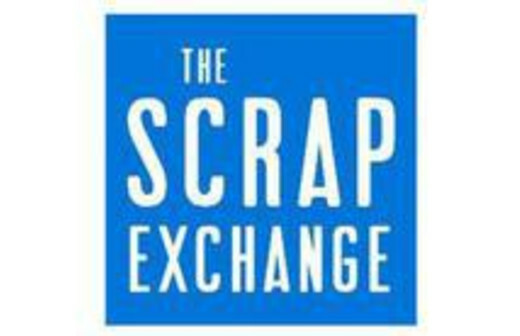 (Find out more at http://scrapexchange.org/programs/. Groups can also shop in our retail store or tour the art exhibits in our Cameron gallery. Scheduling Policy: Make-n-Take and Design Studio rooms are available for drop-in participants if the rooms do not have groups scheduled. Call 919-213-1278 to inquire about room availability or to schedule groups visits. Art Exhibit - "Coastal Abstracts"